Are you planning on visiting Russia? Contact us right now and we will help you make your trip unforgettable and stress-free! without depriving you of a real cultural experience. hospitality that only a boutique family-run company can provide. When you send us a tour request, you get a tour designed specially to cater for your personal interests and needs. Your individual tour will be based on your personal style of sight-seeing, the people you are with (family or friends) and the reason you come to Russia. Not only do you get an itinerary built around your needs, but you also get an absolutely comfortable, stress-free trip. Upon arrival, your personal driver will pick you up at the airport and take you to the hotel absolutely for free. not only in the event of emergency, but also for simple questions. 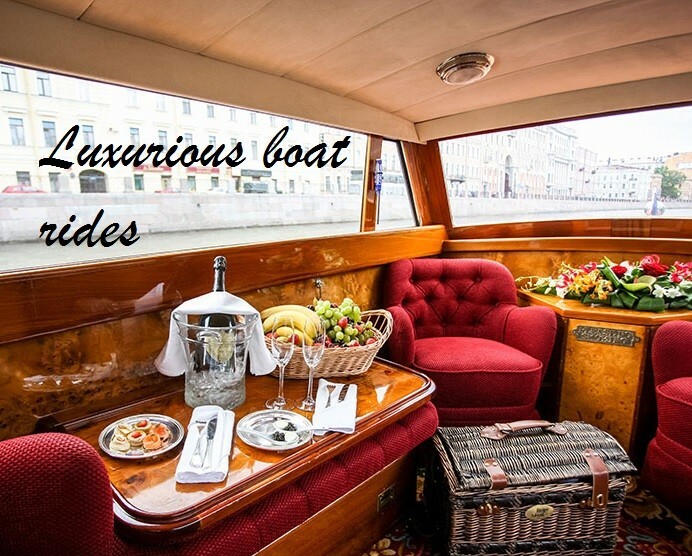 Imagine going down the beautiful canals of St. Petersburg on a private boat, the warm summer wind blowing on your face while you sip some cold champagne. Imagine that even at the height of the tourist season you get to the Hermitage before the usual tourist crowd, allowing you to walk around the rooms with your private guide and admire beautiful works by Rembrandt, Da Vinci, and Titian. You look out the window and see a huge line of tourists trying to get in. They arrived the same time as you, but this whole time they were just standing in line. Imagine getting off the beaten path and seeing private houses where the Russian royal family lived before the revolution. Big groups are not allowed there, so you’ll have those little hidden gems almost to yourselves, as if you were guests of the royal family. Wouldn’t you feel special? Run by a Russian-American family in California, we know what is truly important for our guests. On one hand, we make sure that you get the best possible service, as all of our staff is well-educated and extremely friendly. On the other hand, we provide our guests with an unforgettable and authentic experience. Imagine visiting a local family for dinner. 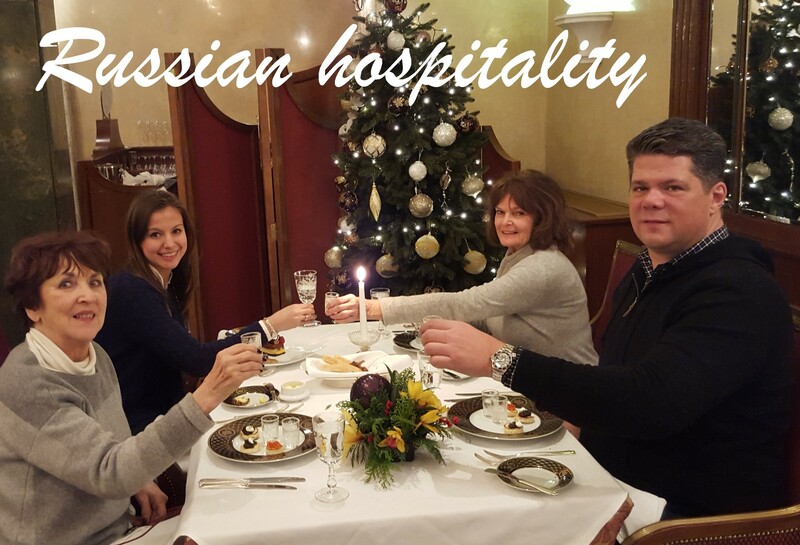 You try authentic Russian food created by locals specially for you. You hear about life in Russia from the very people who live it. You get to see a real place where Russians live and ask them any questions about their life. Afterwards, you get to sip some tea the way Russians do, with some home-made desserts. What an awesome experience! These are only some ideas. When you hear the word Russia, do you think about the exquisite age of aristocracy and the rule of the royal family? 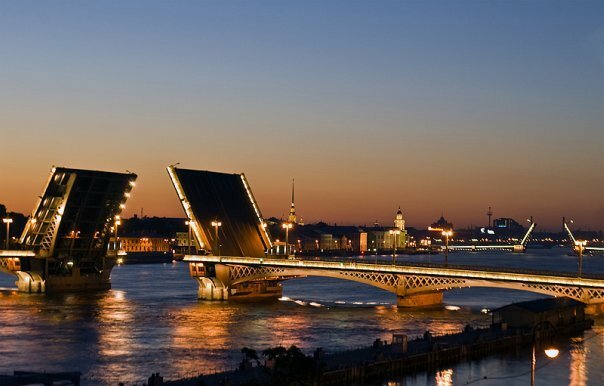 Then you will love St. Petersburg! Extravagant palaces, astonoshing art galeries and remarkable views will keep you inspired. Have you even seen the Red Square on TV? 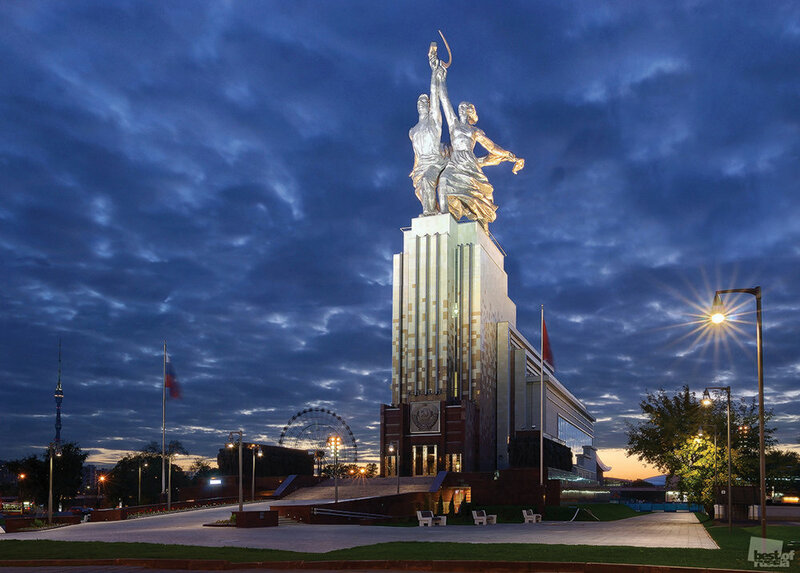 In Moscow, Soviet History comes back to life and still leaves a massive impression. It is also the modern capital of Russia, where everything is done on a large scale: best reasturants, best shopping, best art. Vladimir, Suzdal, Bogolyubovo, Sergiev Possad are the home of ancient Russian history. 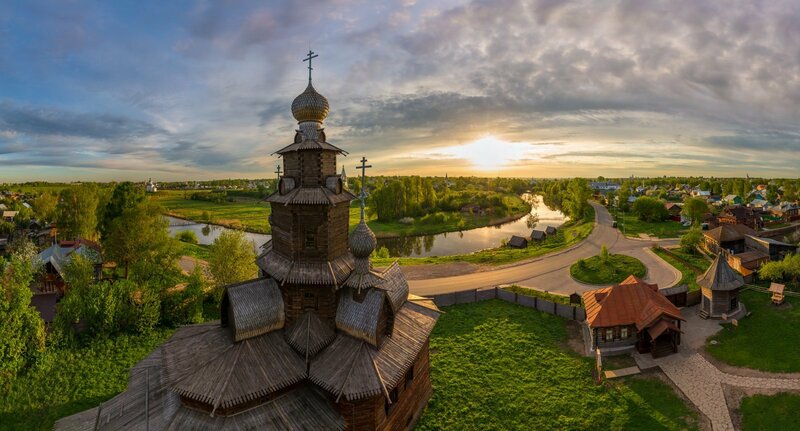 Here you can see churches and forts that are over 1000 years old and experience the coziness of a Russian province, as well as indulge in local cuisine and traditional SPA-treatments. This place is truly one of a kind. Magnificent nature, unbelievable views, old cities and churches. 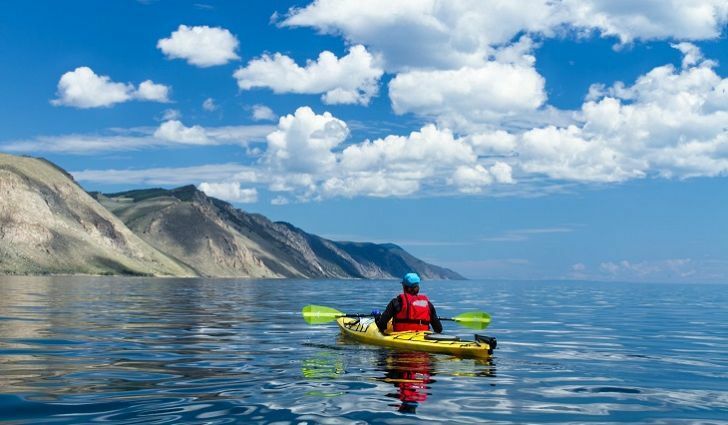 And, of course, Lake Baikal - the world oldest & deepest fresh water lake. Have an unforgettable time exploring the centre of Asia with us. Special offer:Walking tour of St. Petersburg for just $50! No matter how many people are in your group, just for $50 total you can have an authentic St. Petersburg experience and learn about the city's history and vibrant local life! Fill the form below to book your exclusive tour of St. Petersburg! All your wishes will come true. 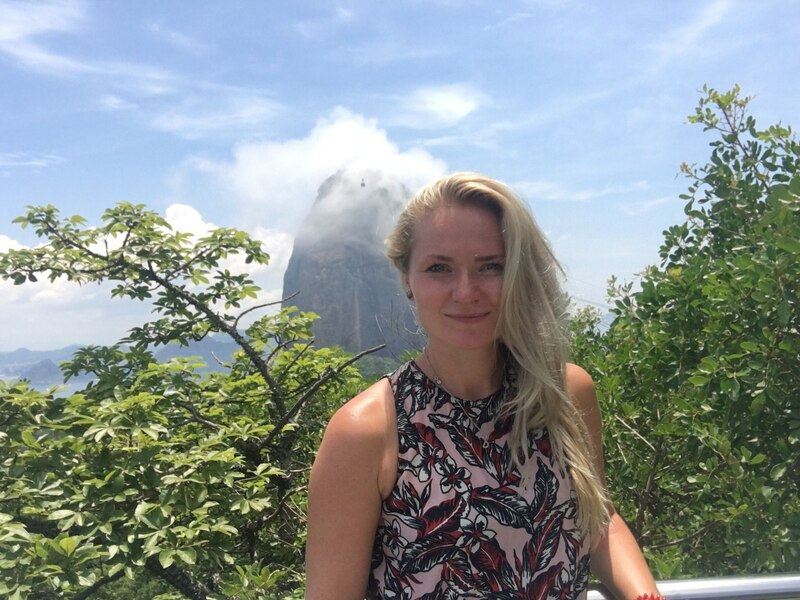 Our guest Merlyn: "Olga from Eagle Travel has personal knowledge and experience with connections to great local guides. She handled everything we asked for seamlessly and let us schedule/book those things that we wanted to handle. We booked the airfare, hotels, ballet and train and selected most of the restaurants. She provided the visa invite, tour guides, museum and activity tickets, all of the Golden Ring, and great suggestions and advice.The guides were the best - they were all very knowledgeable, attentive and flexible." I will help you with any question. 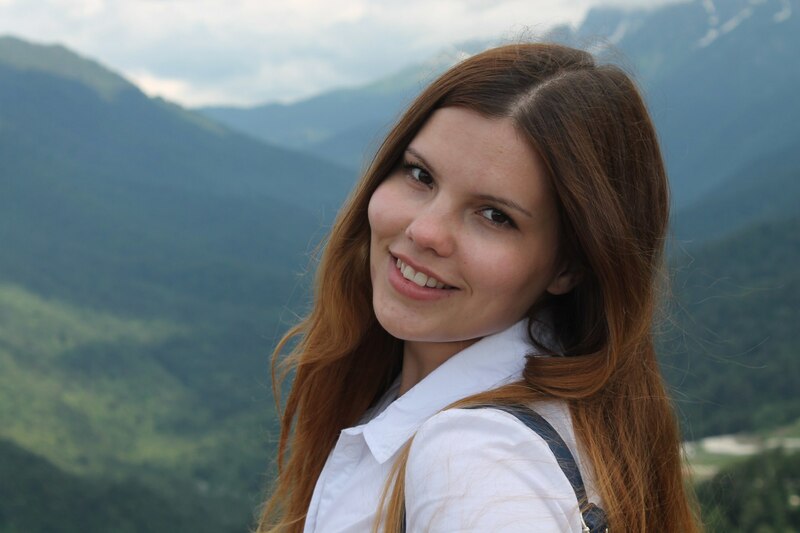 Our guest Laura: "The coordinator helped us find a reasonably priced hotel in an excellent location in Moscow. She even recommended a great hotel in St. Petersburg which we booked ourselves. 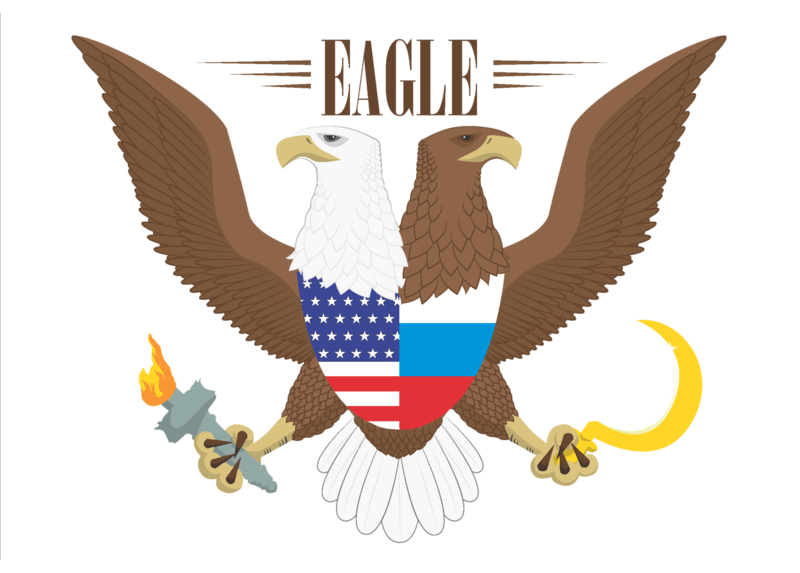 I was impressed with Eagle Travel, and I will not only use them again but I would also highly recommend their services to anyone who travels to Russia." I am an energetic, creative person who also enjoys traveling and sightseeing, exploring new cultures and art. Our guest John: "Hello everyone! I had a pleasure to meet Eagle Travel team some time ago and I want to say GREAT BIG THANK YOU again and again. My tour to St.Pete and Peterhof was abslotely outstanding. Everything was really well-planned, all of my ideas were taken into account when planning the trip"
I am always happy to meet new people from around the world. 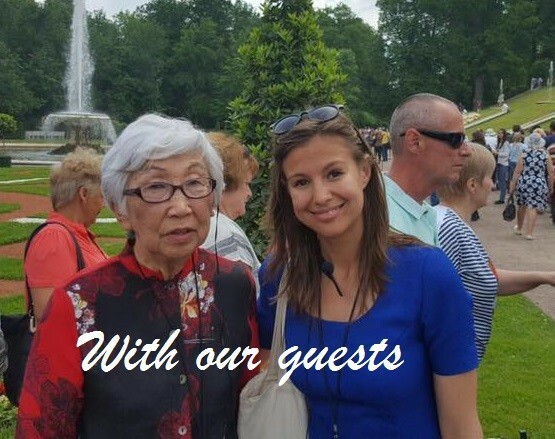 Our guest Keh-Ming: "We are grateful to have top quality guides including Kira for Moscow, Tatiana for the Golden Ring and Irina for St. Petersburg. They are all dedicated, knowledgeable, friendly and passionate with their work. In addition to the regular tourist sights, they also took us to places that are either “off the beaten path” but unique and worth seeing, or are of special interest to us. For example, Kira went beyond the duty of calls to arrange for us to watch the amazing “Kostroma” show at the National Fork Theater, and stayed up late to make sure that our transportations both ways went well." I adore my city and believe that after visiting it once, you’ll wish to come back again and again to enjoy its special charm and beauty. 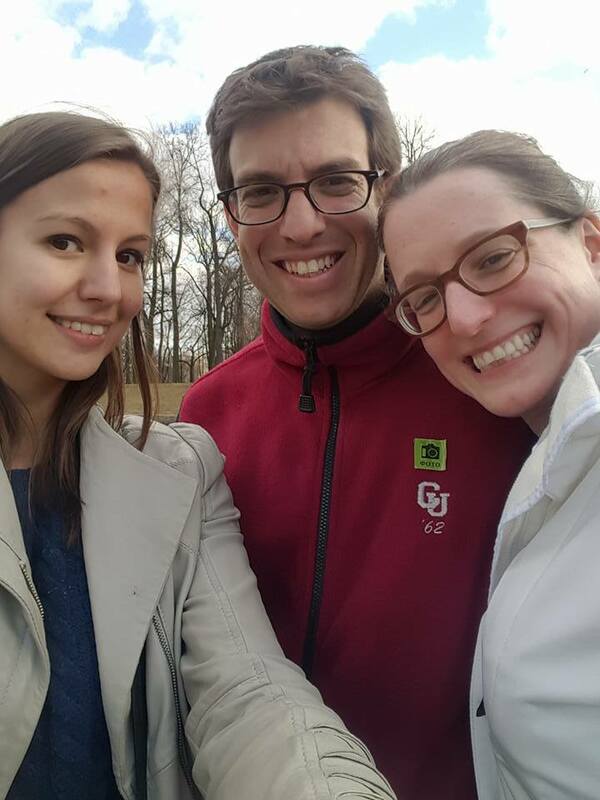 Our guest Chris: "Olga and her team are super friendly and knowledgable. They went out of their way to ensure that our trip was a smooth and flawless experience. Olga is such a delightful person that we even invited her to dinner with us in St. Petersburg, which she graciously accepted. What started as a relationship with a travel agent evolved into a friendship between Olga and my entire family. I highly, highly recommend Eagle Travel Tours if you're thinking of traveling to Russia." 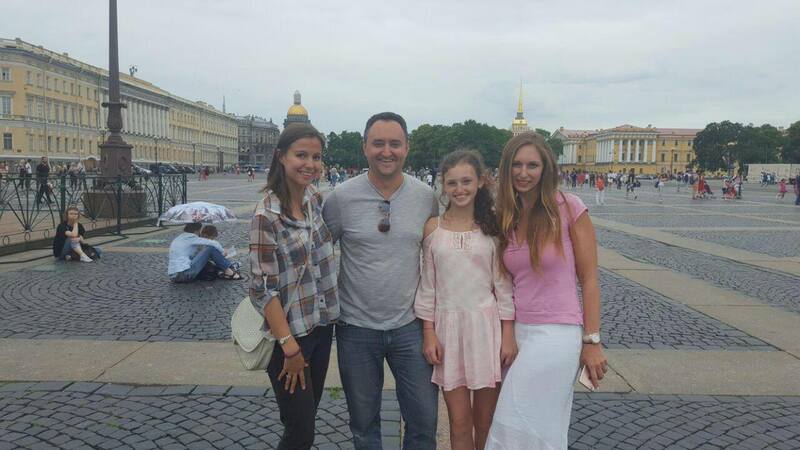 I really love meeting new people and want to make your stay in St. Petersburg truly unforgettable! 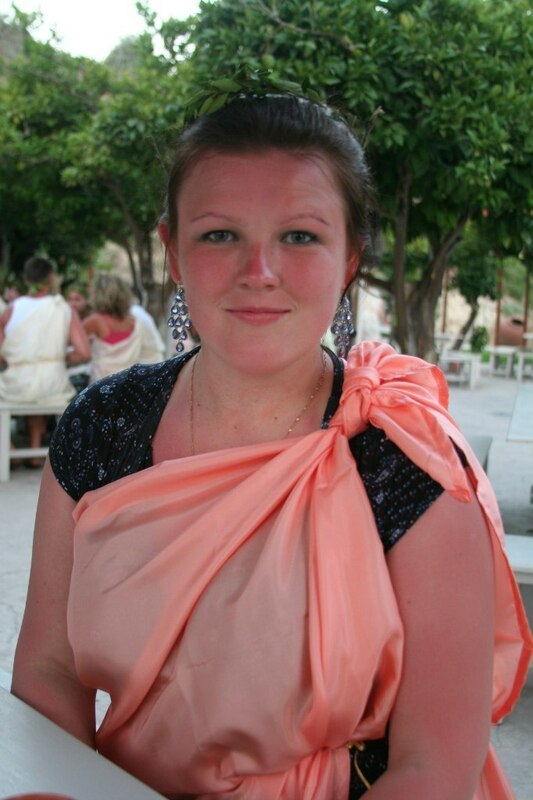 Our guest Lauren: "We absolutely loved our trip to Russia. My husband and I have traveled to quite a few countries and our St Petersburg and Moscow trip was definitely one of our favorites. Olga was so helpful in preparing for the trip and helped negate any of my fears or hesitancy in traveling to Russia. She was so quick to respond to all of my questions and planned and coordinated an amazing trip. 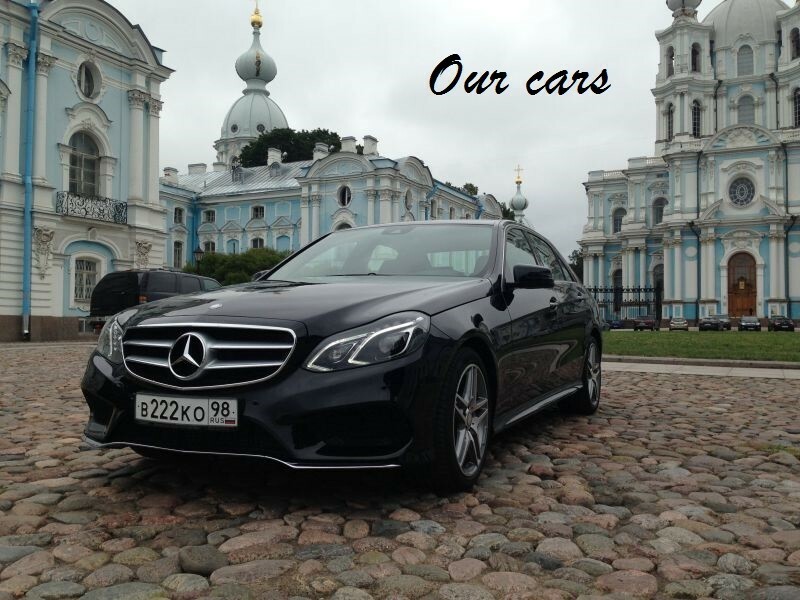 In St Petersburg my husband and I absolutely LOVED our guide Irina and driver Alexander. They were so kind and helpful, Irina is so smart, knowledgeable, and fun- we just absolutely loved learning about and exploring the city and the palaces with her. We are already trying to figure out when we can travel to Russia again and are recommending visiting St Petersburg and Moscow and working with eagle travels to all our family and friends or anyone who will listen." We felt like we knew her forever! 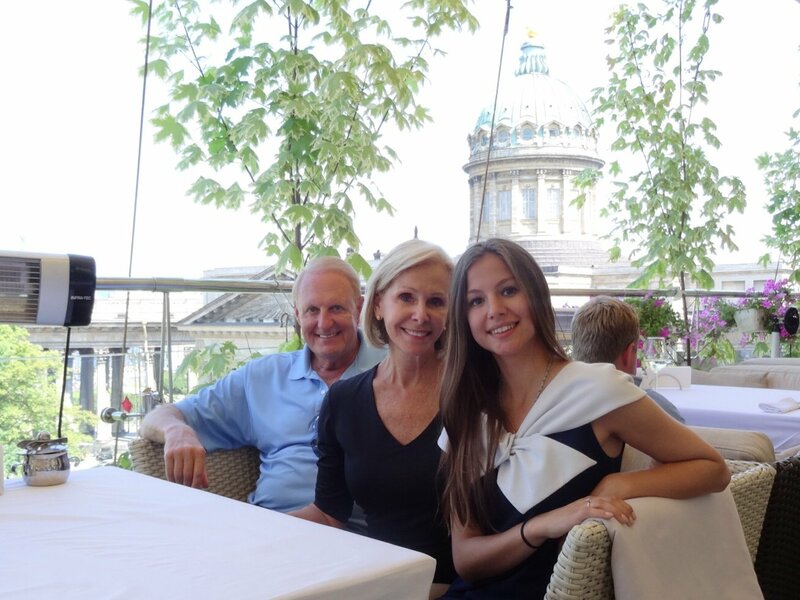 My two adult daughters and I recently had the pleasure of spending the day in St Petersburg with our fabulous tour guide, Olga Cardamone. Olga seemed to read our minds and anticipate our needs. She brought us to Peterhoff, the Church of the Spilled Blood, a local donut shop and a Russian mall. She was smart, funny and extremely knowledgeable and accommodating. By the end of the day, we felt like we knew her forever and we were sad to say goodbye to our new friend. I would highly recommend Olga's services. She is simply amazing! We hope one day she comes to New York City to visit us. 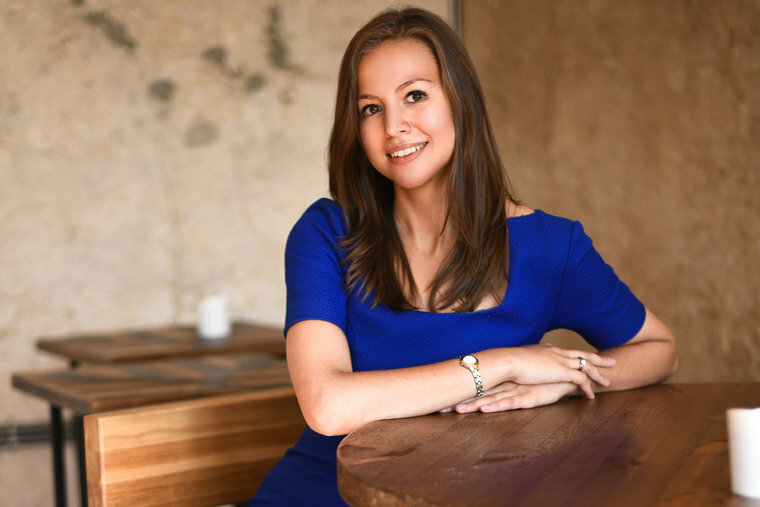 Overall, the beauty of hiring Olga meant that we could plan each day as best suited us and with her help everything went much better than we could have expected. In my opinion there is no better decision that anyone can make when planning a trip to Russia is to hire a private guide and I after this trip I am recommending Olga to all my friends! Olga's attention to detail and simply the amazing personal attention made the rip so much better. You get full VIP treatment for a fraction of the price that you would expect to pay for service like that. From what I could tell all of Eagle Travel staff and especially Olga have perfect English. They are extremely knowledgeable in all aspects of the tours that we had, especially the deep knowledge of Russian history as well as the art exhibits in various museums. I can't say enough amazing things about Eagle Travel. All of the previous reviews capture Olga's personality, amazing customer service, extreme attention to details and uncanny ability to help make this one of your best trips/experiences ever! . 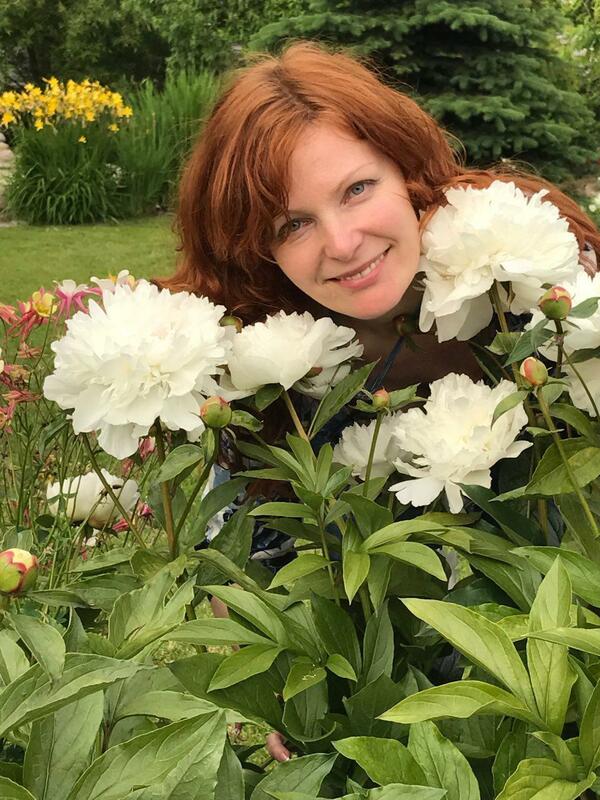 Not only did she do a world class job for my wife and I in St. Petersburg by organizing our time and helping us decide which sites to see, she also planned our time in Moscow and the Golden Ring Cities of Vladimir and Suzdal. My wife and I have been lucky enough to travel to many places and have many many guides - I can tell you without hesitation Olga and Eagle Travel, along with 2-3 other guides FAR exceeded my very high expectations. If you are thinking of going anywhere in Russia I think it would be a HUGE mistake not to at least contact Eagle Travel and see what they have to offer. Of course please feel free to PM me and I can give you more details or answer any specific questions you may have. Would you like to have the most exciting trip to Russia planned for you? Complete the online booking form, which is located at the bottom of this page. Alternatively, you can email us or skype us. Within 24 hours after booking, we will send you an e-mail confirming your reservation. As we really want you to have a trip most suitable for YOU and are willing to meet all your needs, we will schedule a consultation with you, during which we can discuss all the ways to make your stay in Russia better. We accept payments in US dollars, euros, or Russian rubles. It’s possible to pay online with a bank card. Once you book your tour, we can send you our account informatation and will help you with your payment, if needed. I am visiting Russia on an international cruise. The regulations for cruise passengers are very specific. You don’t need a visa to get off the ship if you have booked a tour from an authorized tour company like Eagle, but this only applies to cruise ship passengers, and tourists are only entitled to stay in St. Petersburg for 3 days. If a cruise passenger wishes to see the city on their own, a visa is required. Can you help me get a Russian visa? Absolutely! We provide our guests with complimentary visa invitation letters, which can be used to obtain a Russian visa in your local Russian embassy. If you prefer to have all-inclusive visa support, we can connect you with our partners in New York, who can take care of it for you. Are your tours accessible for people with limited mobility? As long as we are informed in advance, we will provide our guests with collapsible wheelchairs and other specific equipment. In Russia, the tipping culture is similar to the rest of Europe. Tipping your guide and driver is not obligatory but always appreciated, so if you enjoyed the service, you can leave 10% of the cost of your tour for your guide and 5% for the driver, or any other amount you think is appropriate.